Italian calfskin leather belt strap with feathered edge and soft genuine leather lining. 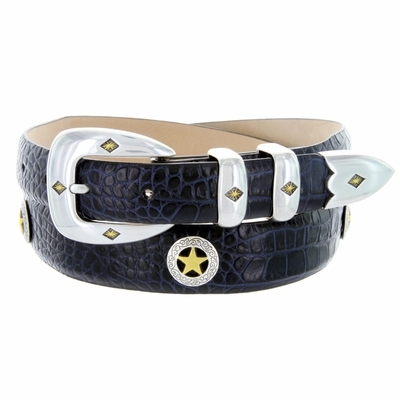 4 piece silver plated buckle set accented with gold diamonds and 5 engraved gold star conchos. 1 1/8" wide tapering to 1" wide.